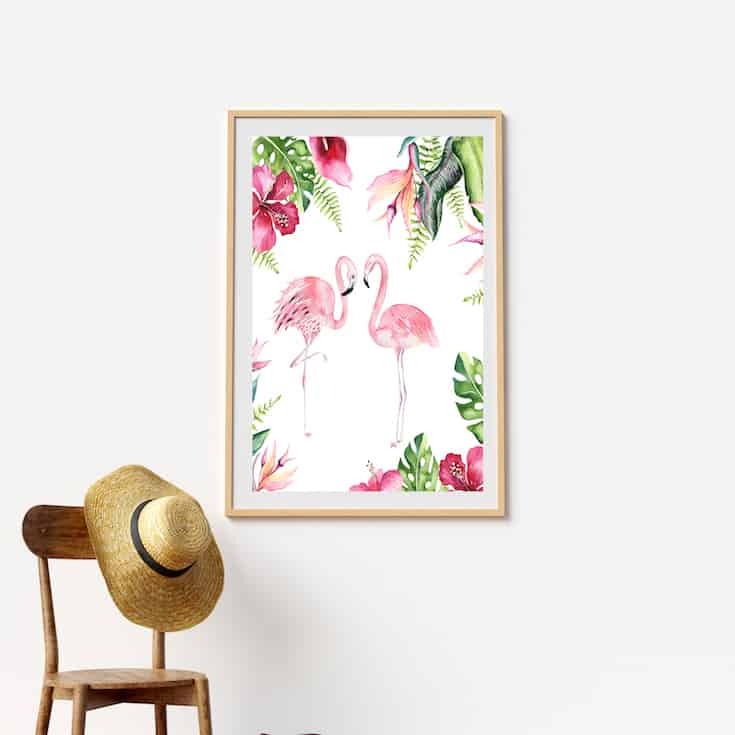 Flamingo Printables – FREE DIY wall art for your home! Another collection of printables that are free for your personal use. 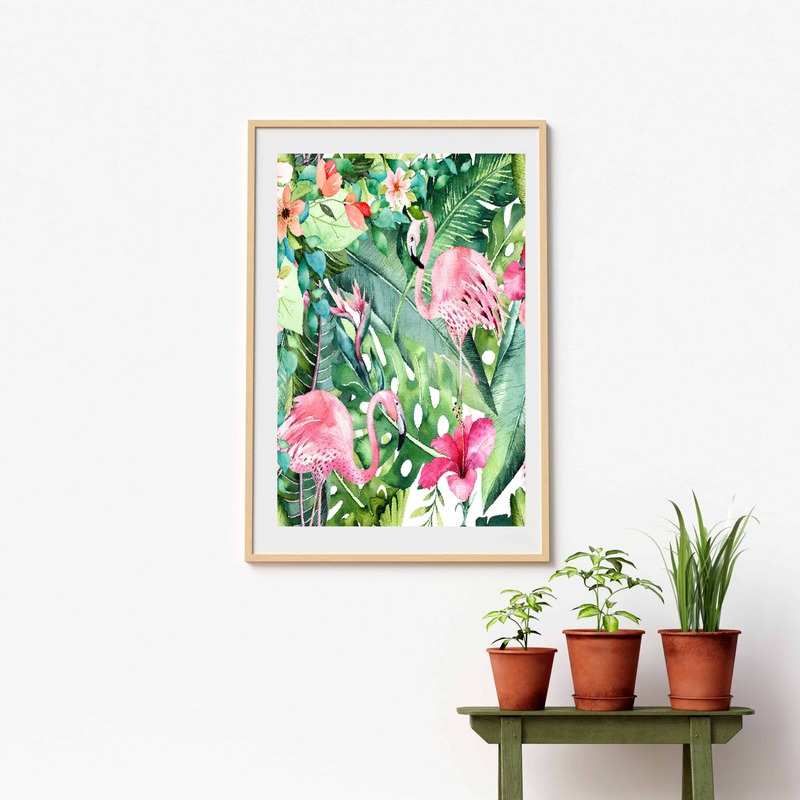 If you love FLAMINGOS and all things tropical, then these are perfect for you. You’ll be able to use these printables for wall art, greeting cards, and more. They are all free and ready to download instantly. I’ve been creating printables for years now and in the past they were sold on my website SHABBYFUFU. I LOVE creating new art and sharing with my readers who seem to enjoy them! Each of these new pieces of digital art are offered in collections available exclusively to anyone who subscribes via email to my blog. 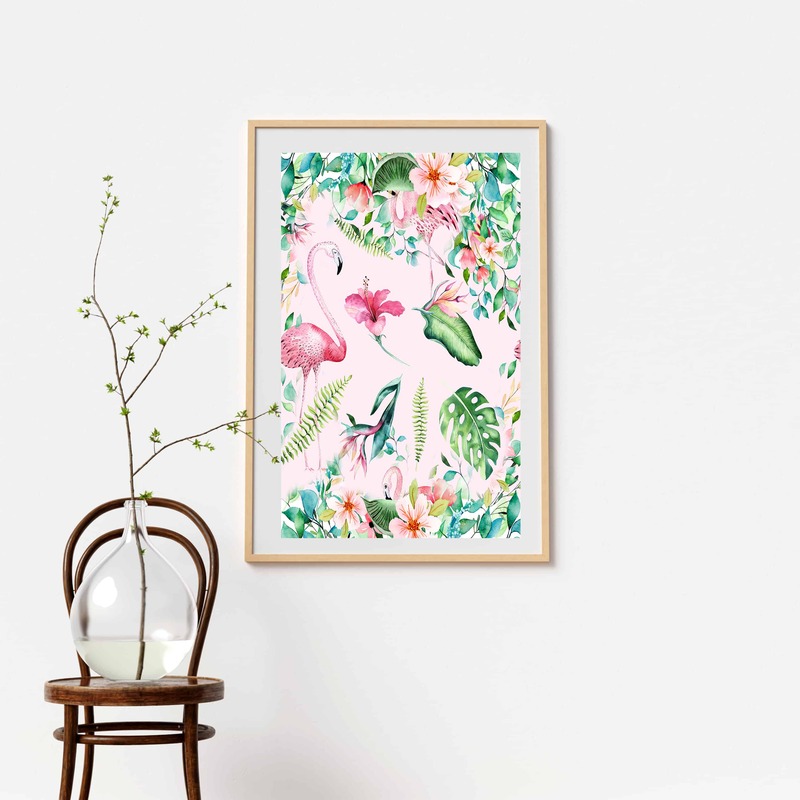 For this TROPICAL COLLECTION it’s all about FLAMINGOS. Yours won’t be framed, since you’ll be downloading and printing your own. These would look so cute in a grouping of three perhaps in your home office or on your desk! They are high resolution images made in 300 dpi. You can also use them as greeting cards if you scale down your printing and print on cardstock paper. Crafters love these for decoupaging onto paper mache boxes, printing on fabric paper and ironing on to pillows, etc. Possibilities are endless and will go as far as your imagination will take you! This is my gift to you as a subscriber, and if you don’t yet subscribe I’ll add a form for that below. I only ask that you do not use to sell commercially or modify…as they are copyrighted designs. Also…please do not share, because I am giving them out for free it’s not too much to ask you to subscribe. To receive this collection and all of my printables, just fill out the short form below. The library of printables is free and exclusive for my subscribers and updated often with new art!! When you subscribe you’ll also receive new blog posts and any special information that I have to share. I would LOVE to have you join my community of subscribers and your email will never be shared. In your next email you’ll receive the sign in information to access these. Thank you and simply fill out the form below! Your next email from Shabbyfufu will contain the password for the library that will allow you in! The peonies are gorgeous, and Birchlane also has some nice small blooming hydrangea in acrylic water that I am adding to my order. The season for both in our garden is just too short, so these will let me enjoy them far longer. Thanks for then the tip! Good morning Deanne! We can’t grow peonies this far south and they are expensive in the stores, so faux is often the way to go. Have a wonderful week. HI, I’m already a subscriber but can’t find where to download the prints. I absolutely love them. You did such an amazing job. Hi Janet, I have the Password, but I still cannot access them. I did scroll down, but I got nothing. lol. I know it has to be me. But, I’m drawing a blank on this. You do such beautiful work. It’s definitely on your end Erin…I will shoot you a quick email. Also a subscriber and am unable to download the prints. Very pretty. The directions are at the bottom of every newsletter Sharon, so take a look there. Marilyn, it’s at the bottom of the newsletter…you would have to scroll down to see. I can’t put it here in the comments, since the printables are my gift to subscribers only and not the general public. This is fantastic- such a great printable! So glad you like it my friend!